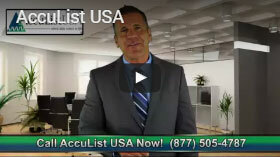 Data Broker List Broker Direct Mail Services Marketing Mail Lists Standard Mail Lists Email Services Data Brokers Mailing List Brokers Database Management | AccuList USA AccuListUSA – Where data comes to life. Find The Right List - At The Lowest Cost Per Name! Acquire Thousands Of New Customers or Donors! We’ll Do Whatever It Takes To Help You Succeed! Learn The Ins and Outs of Data-Driven Marketing And Improve Your Mailing Results! When you are seeking an experienced NextMark and SRDS recognized mailing list broker and manager who will take the time to get acquainted, educate you about proven direct mail, social media, and email lists, fulfill your customer or donor acquisition needs, and offer you a broader selection of quality lists than any online list reseller, look no further than AccuList®. AccuList is headquartered in San Antonio, A+ rated by the BBB, and is the only industry-accredited list and insert media broker in South Central Texas. As list and direct marketing professionals, we have served domestic and international businesses and fundraisers since 1988. What sets AccuList apart is our experience and insider knowledge of data-driven marketing tactics including which mailing lists, cooperative databases, social media platforms, or insert media programs will work best for your offer or appeal. We also provide expert guidance on when to target specific audiences, competitive intelligence, and a proven ability to deliver superior response and conversion rates. Aside from helping you find the right lists, social media platforms, or insert media programs, AccuList offers data mining and mapping support to improve targeting and maximize front-end results. We can also update your lists, merge-purge, and append new marketing information. Whether it’s digital or direct or ,we’ll always give you sage advice to increase your ROI and reduce your new customer or donor acquisition costs. We Can Help You Target Specific Vertical Markets! Over the past seven years, Mercury Insurance has relied on David Kanter and AccuList for its direct mail lists. One of the most impressive aspects of this relationship has been the thoroughness of the staff combined with their vast knowledge of lists, credit screening, and predictive modeling. They have been a vital part of our successful advertising efforts. Event Solutions couldn’t be happier with the performance of AccuList. We used to handle our list rentals in-house. AccuList has tripled our list rental revenue and I prefer to call them a list partner than a list management company because of the level of customer service we get. With AccuList, I found experience and solid strategic support. Their dedication and attention to detail made the program come off without a hitch. In addition to recommending and renting nearly 75 different nationwide lists, they did all the list hygiene and then completed a sizable and complex merge/purge while meeting every deadline and staying on budget. We have used Acculist for our last two exhibitor and attendee campaigns and plan on using them for our next campaign as well. Their knowledge and expertise of the entire direct-mail process, from list acquisition, merge-purge and list management to printing, design and mailing, are second to none. They are especially good at targeting our audience and making sure that our message is getting through to the right individuals, critical to any effective campaign. David Kanter and his team provided us with excellent service and made sure that our projects were executed on time and within our budget. Acculist helped us find very targeted, successful lists and insert options that increased our sales to new buyers by 30%! And their full-service programs introduced us to our first match-back software company, who got us phenomenal results. They’ve helped us ‘grow-up’ in our direct-mail marketing areas. The level of commitment and personalized service that AccuList provides to our company are very difficult to find these days. During our short but very positive relationship with Acculist, they have helped us to identify all our previous direct marketing mistakes, they have provided successful mailing recommendations, and they have oriented our company for a large potential growth over the next years in this ever more competitive world of direct marketing. AccuList is friendly and helpful, getting us lists in whatever market we need…especially Hispanic markets. They care about our success and the impact our organization has on the community. When I brought a list and mapping project for Toyota to AccuList, I was a bit skeptical but they have proven to me they really know their business. More importantly, the response exceeded everyone’s expectations. Having a resource you can trust is paramount in the business world today. We rely on AccuList’s expertise and advice when it comes to list services, including predictive modeling and profiling. Our clients’ varied needs require reliable and accurate information that is delivered on time, on budget and with clear, readable results. That has been our experience every time we’ve worked with AccuList. Over the years, I have rented names from all of the large list brokerages. After meeting with David Kanter, he personally became involved in my project, and the results were phenomenal. He asked questions no one else had. The following week, he presented to me a 4-inch binder of his recommendations, which I call my ‘AccuList Bible.’ The project was a success, and David is owed a great deal of the credit. I cannot remember anyone in the list business ever working harder or more intelligently on my behalf. There is no one else I would now consider using over AccuList. Charles RollerPresident Tactile Marketing Inc.